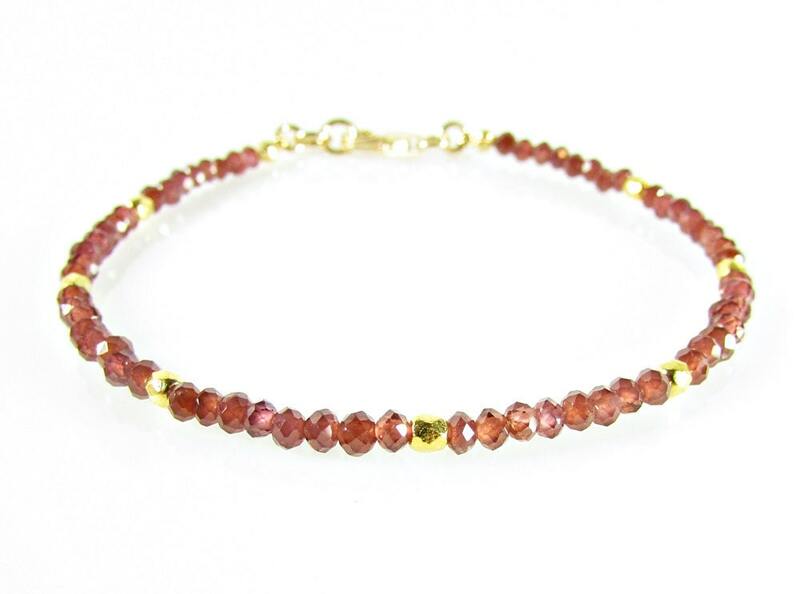 This stunning delicate bracelet is created with genuine faceted garnet 2mm beads and 24K gold plated faceted Czech beads. 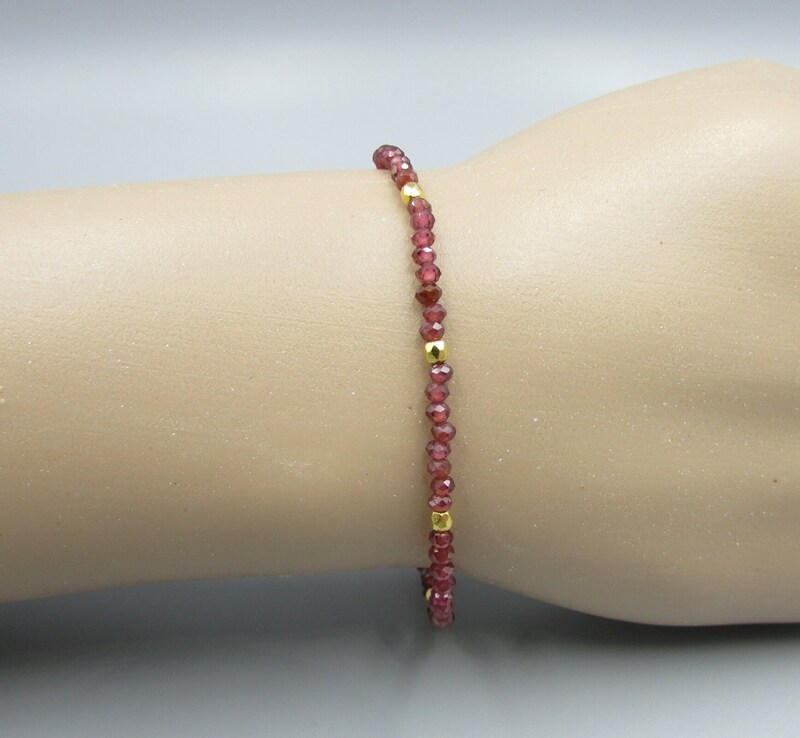 Is perfect alone or stacked with multiple bracelets. 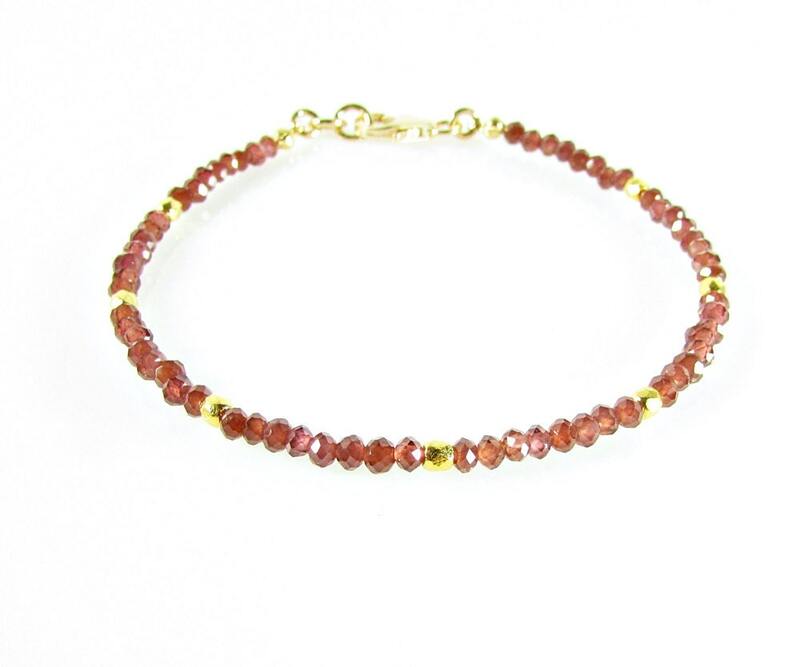 The is 7-1/4 inches long and finished with 14K Gold lobster clasp.